*Applicants must be available from May 1 – September 18, 2019 to be considered for this position. 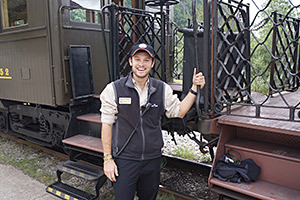 Being a tour guide on the White Pass & Yukon Route offers exciting opportunities to share the incredible history of our railroad as well as the Klondike Gold Rush. You will be the face guests see and the voice they hear on the scenic railway of the world! 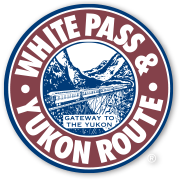 Tour Guides/Passenger Agents will be thought of as experts in relation to their knowledge of White Pass and Klondike history. It is each guide’s responsibility to enhance their own knowledge and support their teammates in the pursuit of furthering their understanding. We offer competitive pay, employee housing, and performance-based incentives. Is being a tour guide right for you? Will I like being in a guest facing job where I am constantly “on stage”? Does working in a high-energy, fast-paced job in a beautiful but small and fairly isolated Alaskan community excite me? We are always looking for talented guides. Our operating season is the beginning of May to the end of September. Our hiring starts at the beginning of the year and is finalized by the end of March. Selected candidates start our season at the beginning of May. 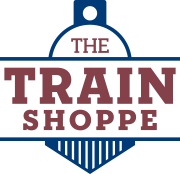 Candidates spend about 2 weeks in training both in a classroom setting and onboard our trains.